Oh what gorgeous photos of you, especially love the first one! 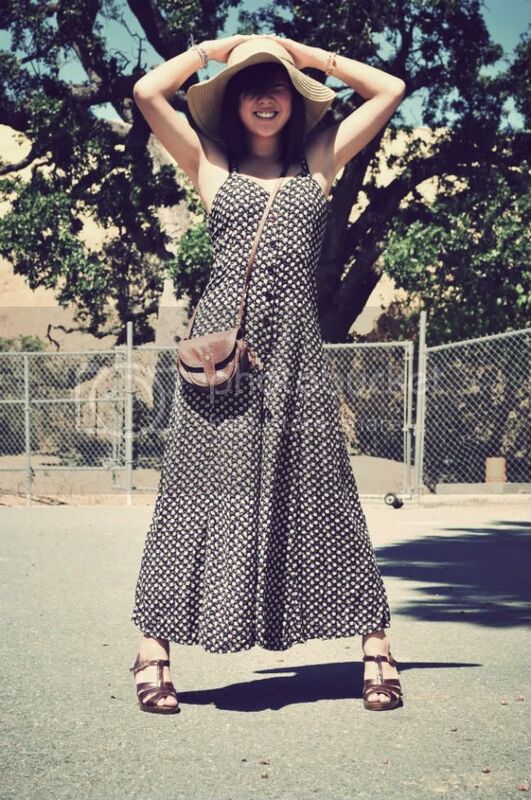 Great summer dress and hat! You look stunning! Gorgeous dress! A cute look! 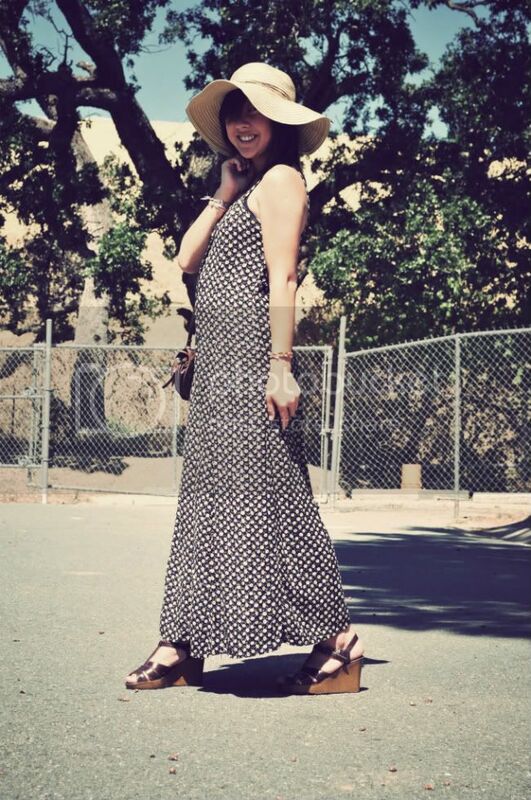 Maxi dresses are super stunning and you can wear them in so different ways that they fit they occasion. YAYYY. Fabulous post to start off the BRAND NEW BLOG. Congrats yoooo! I love these pictures. They are so faaabulous and summery. The dress is really amazing. So is the HAT. Welcome! Excited for new posts with your dose of humor and personalityyy! Perfect way to make a post shine. Full of smiles, and prettiness. Love your dress!! oh wow your fashion adventures are just beginning and im liking it so far. great dress. im following. i LOVE your new blog! it's so pretty and easy to navigate. did a web designer do it? i'd love to do something like that for my blog. thanks for putting my link on your side bar. i'll update your link on mine. Your dress is beautiful! And I like your shoes and bag as well! and the whole Outfit is really cool!!! hey lady! your blog is faaab! these photos are so pretty not to mention the maxi dress! Great outfit, love that dress! You look great. And your outfit and blog mesh so well togeter. Im following. and maybe youll visit me someday. thats one amazing jumpsuit ur wearing! lovely! as always keep inspiring lovely, so happy about the new blog and all the success i know you'll bring with it :). Woohoo! You made a new blog! Super sad I missed you guys last night, but hopefully we can FINALLY meet up soon! Your smile and laugh is totally infectious! And I think this title suits you much better! gorgeous photos ! i love how u paired the long dress with the gladiators.. 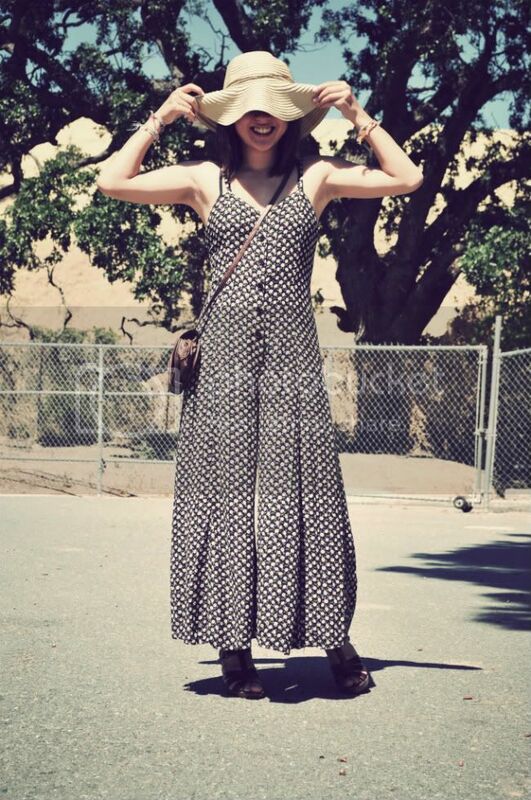 Such a cool jumpsuit, and love that floppy hat! Great hat and jumpsuit! Lucky find! yes lets do the loosing weight together!!! how much do you plan to loose?? I just created it. I will be posting art, music, and a book I am working on! I hope you like it!